Whether you’re suffering from tension or migraine headaches, or possibly headaches associated with a recent injury you’ve sustained, one thing is for sure, your quality of life and day-to-day ability to do regular tasks is severely hampered. In this article we’re going to discuss the three types of headaches we have success treating at our clinic: Tension, Migraine and Post Traumatic headaches. In some cases, we co-manage the treatment of certain headaches with other practitioners such as medical doctors, or other practitioners in our office such as our massage therapist, physiotherapist or our naturopathic doctor. Every person’s experience with their headaches is different so I invite you to come in for a complimentary 15-minute consultation with one of our practitioners to discuss your symptoms and determine the best course of treatment to experience some relief from your headaches. These are the most common form of a headache. They are usually caused by tightness in the muscles around the neck and restriction in the joints. This can cause radiation of nerve pain up into the head. Success with relieving pain associated with tension headaches is very good! As with most conditions, we treat here at Glenbourne Chiropractic medication is always an option to reduce pain. However, medication does not get at the root cause of your headaches. Therefore the continued use of the medication can be required until the underlying issues are dealt with. 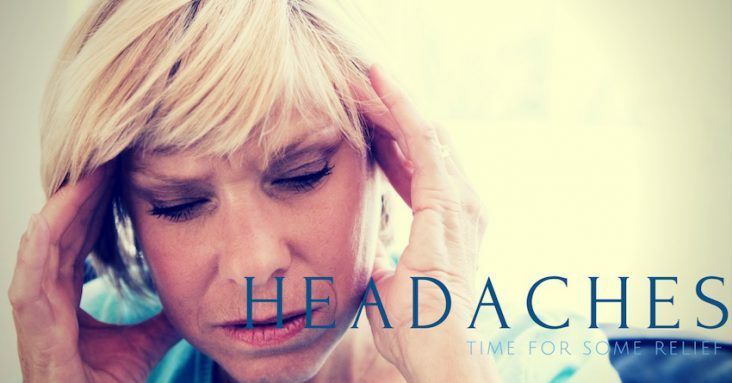 Interested in learning more about how we can help relieve your chronic headaches? Click Here to Schedule a Complimentary 15-Minute Wellness Consultation. The origin of migraine headaches is often the same as tension headaches, but the severity for the sufferer is much greater. Increased pain as well as visual disturbances such as blurry vision, sensitivity to light and sometimes seeing bright spots, known as auras, are all associated with migraine headaches. Treatment for migraine headaches is similar to tension headaches. Chiropractic adjustments, soft tissue work, as well as some massage therapy, may be used. In some instances, we will co-manage migraine headaches with another practitioner such as medical doctors with medications or our naturopathic doctor who will address possible food sensitivities or allergies that could be causing your headaches. KEY TAKEAWAY: Migraine headaches can be caused by muscle and joint tightness as well as food sensitivities or allergies. We will co-manage your migraine headaches with the practitioners required for you to get relief. This could include medical as well as naturopathic doctors. This type of a headache comes on as a result of a recent injury such as whiplash or a concussion. They are a bit more complicated and are most often co-managed with another practitioner. Beyond just chiropractic adjustments and soft tissue work we often incorporate laser therapy and physiotherapy to get results when treating post-traumatic headaches. No matter what the source of your headaches is, chiropractic care offers a treatment plan to provide relief and treat the root cause of the pain, not mask the symptoms with medication. Interested in learning more about how we can help relieve your chronic headaches? Schedule a Complimentary 15-Minute Wellness Consultation. You can come in and discuss your symptoms and answer a few questions with us. From there we can determine the best course of treatment for your headaches. Amazing staff and experienced chiropractor. Thanks to Dr. Peddle for helping me recover for Back pain and extending knowledge about routines and stretching exercises that helped to continue maintaining good posture and back health. Would recommend for people looking out for experience and professional chiropractic service. Dr. Fox and staff are very friendly and professional. They are a key part of my routine to keep my back healthy. Awesome team, excellent health care! Wonderful service, welcoming practice with patients in mind. Didn't intend to go more than few times...Two years ago I went to see Dr. Fox (on a recommendation from a friend) after I hurt my back lifting and twisting. I intended to go a few times until I got back to normal. Two years later I'm still going...primarily because of how I was treated, an easy personal connection to Dr Fox (and I like Dr Peddle too!) and because I now appreciate the concept of "maintenance". I highly recommend putting their phone number in your Contacts list...and of course, "going"! Such an amazing practice! Friendly, welcoming and helpful from your first step in the doors. Been visiting the clinic for years and have been thankful for their chiropractic care, massage therapy and naturopathy. Do you have Carpal Tunnel Syndrome? and How can you Treat it? Experiencing numbness and tingling in your hands? Experiencing weakness or loss of grip strength? Sounds like it could be carpal tunnel syndrome. We see a lot of patients who believe they are suffering from carpal tunnel syndrome. The first step for these patients is always the same – confirming the diagnosis. It is important to check the neck and shoulder for any joint issues, muscle tightness and possible nerve impingement that maybe to either causing or complicating the symptoms of carpal tunnel syndrome. In many cases symptoms that present as carpal tunnel syndrome is actually caused by an issue in the shoulder or neck. The symptoms just present the same as carpal tunnel syndrome, the overuse injury. It’s important to make this determination as moving ahead with carpal tunnel treatments or surgeries can sometimes leave you with the same symptoms as the issue isn’t with the carpal tunnel at all. KEY TAKEAWAY: Not all symptoms presenting as carpal tunnel syndrome is, in fact, the actual injury. Shoulder and neck tightness, as well as nerve impingement, can present as carpal tunnel like symptoms. We can discuss this during a 15-minute consultation with you. What if it is Carpal Tunnel? The first step for chiropractic carpal tunnel treatment is to perform adjustments to the small bones in the wrist. We also treat for tightness in the muscles and ligaments in the wrist and forearm. Laser therapy is also sometimes used to reduce inflammation within the carpal tunnel which reduces your symptoms. Most often you’re provided with stretches and exercises to do at home between treatments as well. Carpal Tunnel Syndrome is most often caused by repetitive movements such as typing at a keyboard or using a mouse. Using tools in a repetitive nature, especially those that are vibrating, can also lead to carpal tunnel syndrome. Certain health conditions such as high blood pressure, hyperthyroidism or excessive weight gain can aggravate symptoms of carpal tunnel syndrome as well. Chiropractic and laser are effective forms of treatment for carpal tunnel syndrome. We advise anyone suffering from the numbness and tingling symptoms of carpal tunnel to book a 15-minute complimentary consultation with one of our healthcare practitioners. 15-Minute Complimentary Consultation: Click here to watch a short video to better understand what to expect from a 15-minute consultation. During your consultation, we’ll be able to learn more about your specific circumstances and determine the best course of action to produce some relief whether that be treating your neck and shoulders or adjustments and laser treatment of the wrist and forearm. There’s a wide range of ailments that Chiropractors can and do treat. The cause of this pain could be from an auto accident, a repetitive use injury, or it may have just recently shown up in your life, and you don’t really know why. One thing for sure is you want some relief. Chiropractic adjustments and exercises are fantastic solutions to treat neck & low back pain as well as headaches. If this is what you are suffering from please book a 15-minute consultation with one of our chiropractors today to begin your journey to wellness. 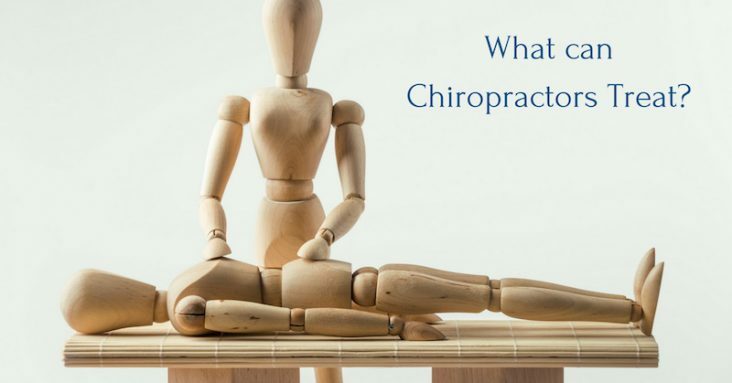 A second group of people seek help from a chiropractor, not because of specific pain, but rather due to an inability to do an activity they once loved. Someone who loves to garden but finds it difficult to do now. All three of these examples describe someone lacking some function ability that they once had. The great news is there’s good possibility of regaining that functionality you once had. How does a chiropractor achieve this? We use three forms of treatment to improve the function and movement of your body. The goal is always to optimize the function of your body for the activity you want to enjoy. For this reason, your treatment plan is 100% customized to your abilities and goals. We discuss your current struggles and where you would like to be during an initial appointment. From there we plot a plan to get you there. after your first appointment, you will have an idea of how many sessions and types of exercises you will need to put in to reach your goal. Are you ready to get back to the best version of yourself? Book a 15-minute consultation with one of our Chiropractors and we’ll begin planning your path to wellness. Click here to learn more about Glenbourne Chiropractic. Also, discover how Chiropractic can treat low back pain here. Frozen Shoulder – What is It and How can I Get Relief? Enter on the 2nd floor under the clock tower. © Copyright 2015-2017 Glenbourne Chiropractic. All Rights Reserved. Halifax Chiropractors.